Over the course of your lifetime, networking will be the single most effective strategy used in advancing your career. Learning the skills for effective networking is worth the time and energy it requires since it’s such an important aspect of the job search process. 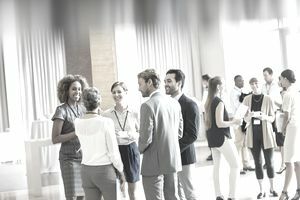 Students, new graduates, and experienced employees can all benefit immensely by learning effective networking techniques and practices by maintaining professional contacts that can be used as references for future internships and jobs and as a career builder for your future. Here's how to start networking. Check with your college for alumni contacts that offer assistance with career planning & development in specific career fields of interest, searching for jobs/internships, and learning more about entry, middle, and advanced jobs available in the field. Previous employers and professional contacts can also be added to the list of networking contacts, as well as any mentors you've had along the way. Contact individuals on the list by phone or email. Prepare a brief script or "elevator speech" describing yourself and your goals as well as a list of questions to ask. Be sure to let the person know how you got their name and why you are calling. Taking some time to research the contact’s career field, industry, and company will enable you to ask informed questions when interviewing. Your networking contacts are interested in keeping abreast of your accomplishments and career journey. Keeping the lines of communication open after your initial connection is crucial to networking and maintaining your list of contacts. Inform all contacts when you are beginning the job search process and update them on the outcome of your search. Ask contacts if they know of any open positions available and ask if they know of any other people in the field you can talk to. Send out a thank you note to all the connections you make in the networking process. This little gesture will stand out with your contacts and will increase the likelihood that they will be willing to assist you in the future. Once you've been hired as an intern or employee, it's an opportunity for you to help others involved in the internship or job search process. Many of the contacts you've made along the way may be helpful to other internship or job seekers and you may become a mentor to others.